Circa 1850. 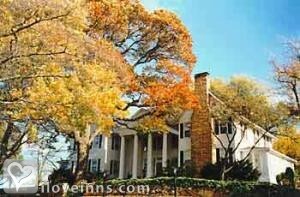 Rich in history, the inn is named after an elite Confederate cavalry unit. 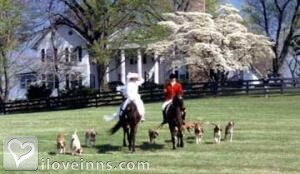 Resting on 20 acres of rolling countryside, the inn boasts a decor reflecting a horse-country theme. Upon check-in, indulge in an afternoon tea with a sampling of sherry and port wines. 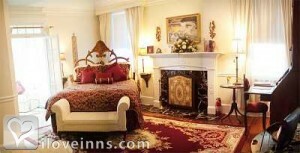 Romantic guest bedrooms are appointed with four-poster canopy beds, fireplaces and Jacuzzi tubs. 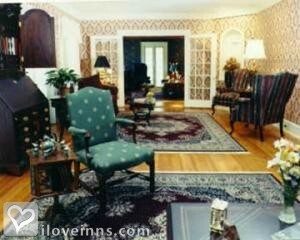 One room is noted for inspiring more than three dozen marriage proposals. Gourmet breakfasts include specialties such as Inn at Little Washington French toast, a rich entree stuffed with pecans and mascarpone cheese. Visit The Gilded Fox, an elegant and stately reception facility that seats up to 200 people. Hike along the Appalachian Trail, go horseback riding, paddling or cycling. This property has 10 total guest accommodations, 9 with private bath, 4 with fireplaces, 2 suites, 1 cottage and 2 conference rooms. The types of beds available include Twin, Double and Queen. 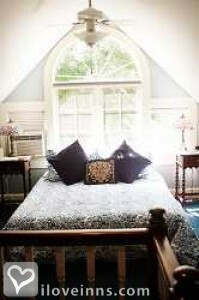 Intimate decor and amenities that are conducive to a romantic stay make the Black Horse Inn on of the most romantic Inns you will ever visit. 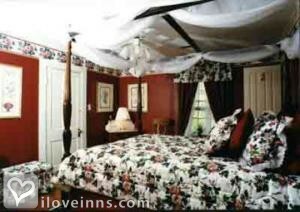 Four-poster canopy beds, firplaces, whirlpool baths and old fashioned soaking tubs set the stage for a romantic stay. Complimentary wines, sherry, port and hors d'oeuvres are available so that couples can enjoy the spectaular views surrounding the Inn while having a sip of fine Virginia wines and delicacies. 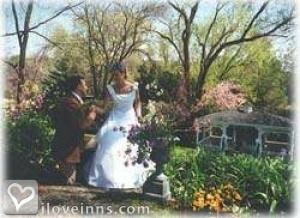 A gazebo is nestled under a canopy of century old trees, and serves as the site for many beautiful wedding ceremonies. 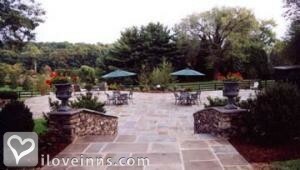 Our manicured grounds and beautiful gardens are the prerfect background for bridal photography and are vibrant with color throughout the season. 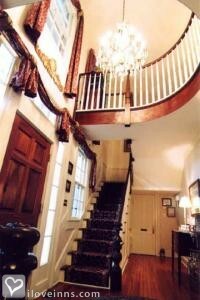 In the oldest part of the Inn, this second floor masculine corner room was used as a sleeping porch in the 1850s. 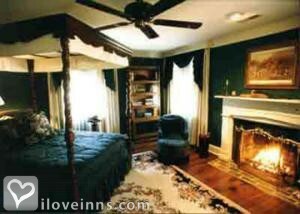 Exposed rock fireplace, heart-pine floor, four-poster Chippendale canopy bed and hunting lodge decor. The bathroom features a multi-head spa-style shower for two. 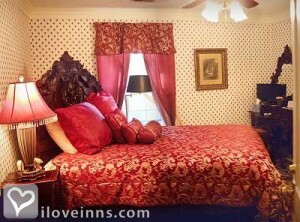 This large second floor corner room is one of the Inn's oldest and most luxurious accommodations, with a southern exposure and fireplace. Queen-size four-poster, canopy bed with fox-hunting decor. Complete with a whirlpool bath and shower. This sunny second floor corner room has breath-taking panoramic views from each window. 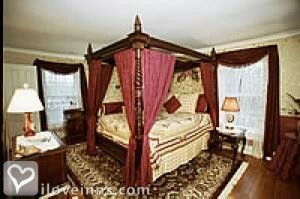 Ornate Queen-size hand-carved, canopy bed with privacy curtains and a whirlpool bath and shower. A second floor corner room honoring the former author of the Declaration of Independence, reminiscent of bedrooms at Monticello, which offers a hand-carved four-poster Queen-size bed and an over-size clawfoot tub and shower in the private bath. Full of beautiful spring florals, this second floor room overlooks the Inn's boxwood garden. Queen-size, hand-carved mahogany bed with canopy, old marble top dressing table. Private bath with clawfoot tub and shower. The Inn was built in the 1850s and served as a hospital in the Civil War. 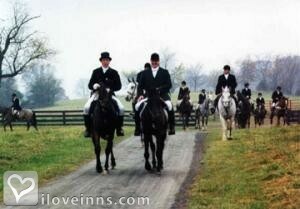 It is named after the Black Horse Cavalry who frequented the Inn and served as a protectorate to Stonewall Jackson. Inn at Little Washington, Claire's aat the Depot, Iron Bridge Wine Restaurant. Buttery macadamia nuts mingle with a sprinkling of powdered sugar in this dreamy make-ahead French toast. Linger over breakfast and enjoy this lavish twist on down-home Southern ham recipes. Pearly dollops of whipped topping and a hint of lemon zest dress these tassies for tea. This mouth-watering cheesecake is bound to delight your guests! A rich and satisfying cheese soup that is fairly easy and fast to make. Stilton cheese is the great English blue-veined cheese that ages to ivory-pale gold perfection.